the U.S. Army’s Joint Multi-Role competition. 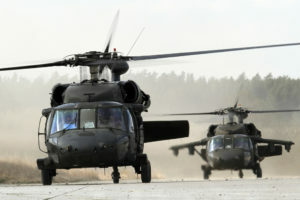 As soon as the U.S. Army’s Aviation and Missile Research, Development and Engineering Center (AMRDEC) awarded four Technology Investment agreements in respect of the Joint Multi-Role (JMR) technology demonstrator (TD) Phase 1, the main question on industry observer’s lips was: Where the heck did Karem Aircraft come from? 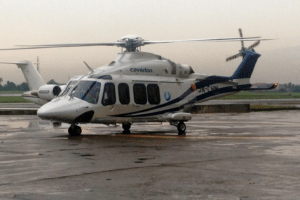 That the Sikorsky/Boeing joint venture/teaming/buddyship (they had not the official name at time of writing) received an agreement was as certain as that granted to Bell Helicopter. AVX Aircraft has been making itself known on the periphery for a while now, but with the absence of the big European players of AgustaWestland and EADS (Eurocopter), it might have been a reasonable to assume that perhaps the Piasecki Aircraft would have been invited to the party with its compound vectored-thrust ducted propeller (VTDP). But Karem Aircraft came out “straight out of left field” for many observers. It is worth remembering that, in the eyes of the Department of Defense, “Future Vertical Lift (FVL) is an initiative; not yet a solution.” It is borne out of the determination to develop a science and technology (S&T) plan based on capability assessment. 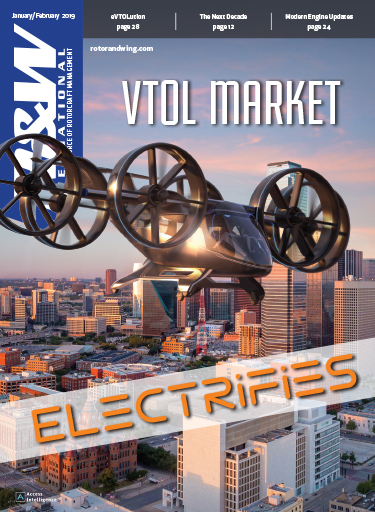 DoD issued “The Future Vertical Lift Initiative: A Strategic Plan for United States Department of Defense Vertical Lift Aircraft” in October 2011. Herein lies the reason for the inclusion of AVX Aircraft and Karem Aircraft, two “blue sky” research companies who may not have the industrial muscle of Bell, Boeing and Sikorsky, but could well offer the kind of unfettered, non-corporate way of thinking that the big boys sometimes find hard to deliver – at least deliver quickly. And it is not beyond the wit of man to see that both of these fresh approach choices will provide alternatives and angles on coaxial and tiltrotor development. DoD is virtually, unofficially teaming two Davids with two Goliaths. The inclusion of AVX and Karem are deliberate attempts by the DoD, the author believes, to introduce an element of friction and competition into this S&T process. The need to develop an S&T plan that moves a good distance away from what has been standard policy in the past. 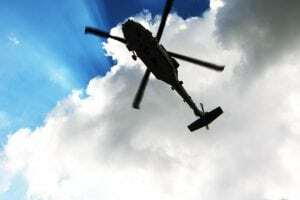 In a way, this has been reflected in the process to identify a successor to the U.S. Army’s existing reconnaissance platform, the OH-58D Kiowa Warrior. After the failures of the Boeing/Sikorsky RAH-66 Comanche (maiden flight 1996) and the Bell ARH-70 Arapaho (maiden flight 2006), the new Armed Aerial Scout (AAS) competition called for all interested companies to take part last summer in a technology demonstration event where they brought what they had to the table. This included Bell’s OH-58D Block 2, the MD540F, Boeing’s AH-6, EADS North America’s AAS-72X and the AW139 (flying to represent the AW169). 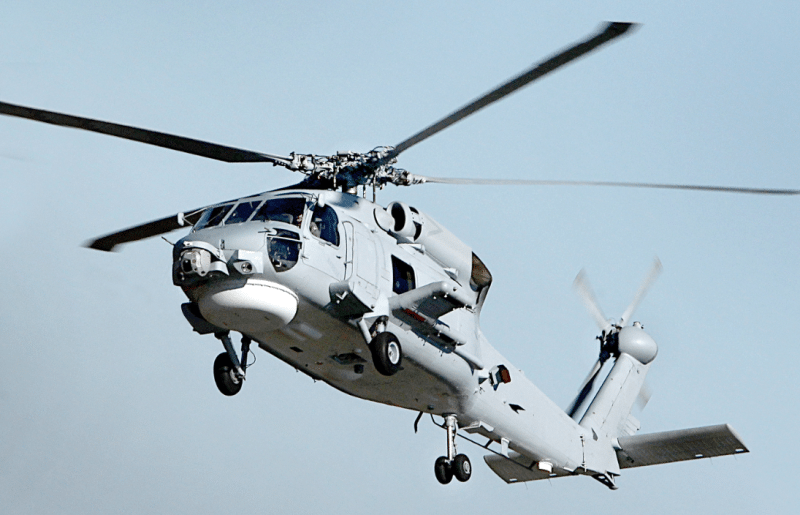 Sikorsky did not participate as it was in the early stages of developing its S-97 Raider. But when Lt. Gen. William Phillips stated that none of the aircraft displayed could meet the Army’s requirements, he was in fact sealing the fate of a commercial-off-the-shelf (COTS) aircraft. This provided industry with some confusion, as the message from Program Executive Office chief Maj. Gen. William (Tim) Crosby in 2011 had been to find out if a COTS solution could get close to what the Army needed. 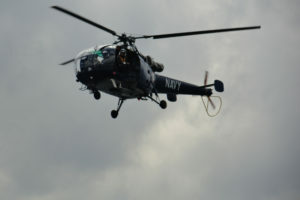 In fact the original Request for Information (RfI) published on April 25, 2012 from the Armed Scout Helicopter Program Management Office specifically sought information on “commercial, commercial-modified, military and conceptual air vehicle technologies” and asked industry for “voluntary flight demonstrations of their existing air vehicles to display the state of the art in regard to helicopter systems and subsystem(s) technologies.” The government estimate of the unit cost was $12-15 million. This must be viewed remembering that talk at the time was of cutting back and doing more with less. But if the AAS is not to be a COTS solution without further improvement, as Gen. Phillips stated, then the development of the FVL seemingly needs to break out of the “one OEM; one solution” mold of previous acquisitions. However, having been there once with Comanche, the “old firm” of Sikorsky/Boeing is set to try again. 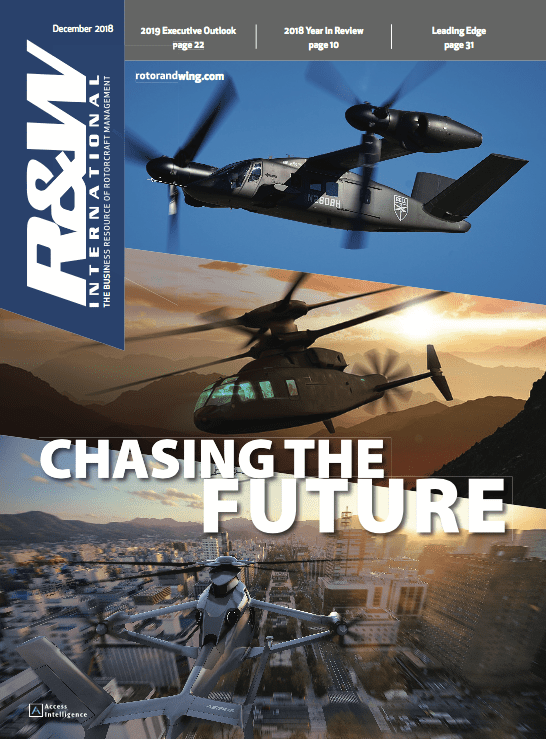 How much of the legacy breakthroughs from the stealthy RAH-66 have made their way into Sikorsky’s X2 development is not precisely known, but its decision to forge ahead and onward toward the S-97 Raider. According to the company, the AVX CCH TD will be a three-quarter scale version of the JMR objective aircraft. But does it really have a chance of progressing to the down-select stage where AMRDEC is to nominate a maximum of two TDs to progress to actual build and flight testing, which has been scheduled to take place between from 2017 through 2019? Likewise Karem Aircraft leans on its founder, Abraham Karem, for much of its reputation. He founded the firm to examine advanced tiltrotor aircraft but by circumstance has a past that is intertwined with Boeing. Karem’s companies were behind the development the GNAT 750 (a forerunner of the UAS MQ-1 Predator) and another UAS, the A180 Hummingbird Optimum Speed Rotor from Frontier Aircraft (now owned by Boeing). In fact Frontier Aircraft was then absorbed into Boeing’s own prototyping and secretive development center, Phantom Works. 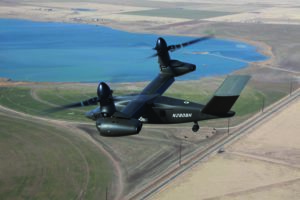 So now Karem Aircraft is taking tiltrotor technology (remember the Bell-Boeing partnership over the V-22 Osprey) and pitching it against Bell Helicopter. It’s a curious world isn’t it? Karem’s website focuses on Joint Heavy Lift and Joint Future Theater Lift (JFTL) aircraft, together with a civil version powered by an Optimum Speed Tilt Rotor (OSTR). A statement from Karem revealed nine years of private investment in OSTR civil transports, although the backers were not identified. In a release after the AMRDEC award (but not on the website), Karem announced that its JMR offer would be a TR36TD design featuring OSTR and would provide a “leap ahead” in terms of vertical lift. It would be powered with twin 36-foot-diameter variable-speed rotors and existing turboshaft engines. The speed would be around 360 knots (414 mph) – fast compared to the 280 kts predicted by Bell for its V-280 and a leap ahead of the 230 kts predicted by AVX and Sikorsky/Boeing for their coaxial. 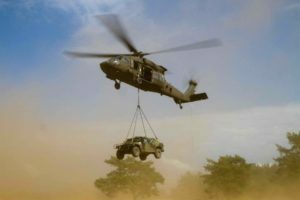 Speaking to the director of Integrated Systems, Ben Tigner, Rotor & Wing asked how the U.S. Army had been persuaded that a company with only a small number of employees had come to be one of the four chosen for the JMR TD award. His answer was to point to the work already done by the company over the FHL. He also said that the company’s “extensive portfolio of patents and patents pending” indicates its understanding of the tiltrotor concept and how it was being developed. The company has 30 patents or patents pending include: tilt actuation for a rotorcraft (2009); rotorcraft engine and rotor speed synchronization (2010); and anhedral tip blades for tiltrotor aircraft (2011). Of Abe Karem, Tigner said: “Abe is our company founder and provides the guiding vision behind much of our technology.” But outside that he had little to add to statements already publically made about the company, and nothing regarding where or how the technology demonstrator would be made, or which companies Karem would partner with. Lockheed Martin has been a partner already. When Karem designed its TR75 as a Joint Heavy Lift (JHL), Lockheed added the capabilities offered by its OSTR during the 2007-2010 Concept Design and Analysis program extension. On October 16, GE Aviation was announced as the engine supplier. Talking of the tie-up, Jean Lydon-Rodgers, vice president and general manager, GE Aviation Military Systems Operation said: “GE is proud to team with Bell on the V-280 Valor with a proven propulsion system to support this technology demonstration. GE continues to invest in next generation propulsion technology through the Future Affordable Turbine Engine (FATE) program.” The V-280’s V-tail and ‘ruddervators’ will be designed and manufactured by GKN Aerospace. Kevin Cummings, CEO, GKN Aerospace North America said that his company’s “expertise across metal and composite design and manufacture” was what Bell wanted for the aircraft. In mid-October Moog was added to Team Valor. Moog will design, manufacture and qualify the V-280’s integrated flight control system. In addition, AGC Composites has agreed to provide the over wing fairing for the V-280. The DoD’s strategic plan is to provide a foundation for future rotorcraft design “by shaping the development of vertical lift aircraft for the next 25 to 40 years.” With the rotorcraft industry straining to get its teeth into the corporate financial security that a winning design would bring, AMRDEC’s timely reminder that “80 percent of decision points for the DoD vertical lift fleet to either extend the life, retire, or replace with a new solution occur in the next 8-10 years” will focus minds even more. The next nine months will pass by quickly for the four chosen organizations now pouring their knowledge into their individual JMR TD projects. Only two will then be selected to progress, but will the remaining two then be in a position to sub-contract or even team with the winners? 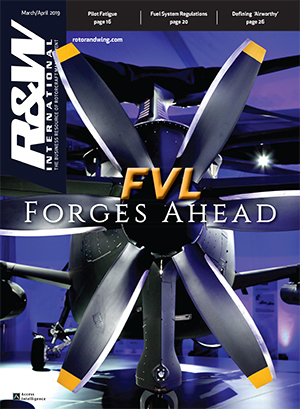 Dr. William Lewis, director of the AMRDEC’s Aviation Development Directorate, retains the strategic perspective of the challenge in hand: “We must continue to push implementation of the FVL Strategic Plan which will positively impact Vertical Lift Aviation operations for the next 50-plus years. Absolutely, that is what JMR is all about.” He talks about mitigating risk and the results of JMR TD Phase 1 as a starting point for the future. While industry will want to get to the job of what it does best – building airframes – sequestration is still driving the mindset of those looking for this future rotorcraft program. A leap into the future may be the aim, but these first “new born” steps are still swaddled in caution.